Cam Taylor is a fan of Erik Chinander. The Montgomery, Alabama, athlete liked what he saw of Chinander, Nebraska’s new defensive coordinator, and his defense. The … strain … that his varying looks put on an opposing offense is easy to see, and Taylor saw himself fitting into that. Just not at Central Florida. Taylor had offers from schools like Louisville and Michigan as well as the Knights, but he committed to the Tigers in July of 2017. That commitment lasted until October and then, two months later, the Knights’ staff became the Huskers’ staff and Chinander came calling again. Now that we're at Nebraska, we can get anybody we want. Chinander acknowledged that Central Florida came with recruiting barriers. The Knights had an attractive package to offer, but it wasn’t a Power Five school and, short of a Blake Bottles-led Fiesta Bowl win in 2013, didn’t have much in the way of prestige to back up their name. That’s different at Nebraska. So yeah, you could say the recruiting philosophy has changed a little. But Nebraska has a sort of unique challenge all its own: the weather. Right or wrong, there’s the perception that Nebraska is a frozen tundra. There’s also the perception that the state is filled with nothing but corn and one football stadium. 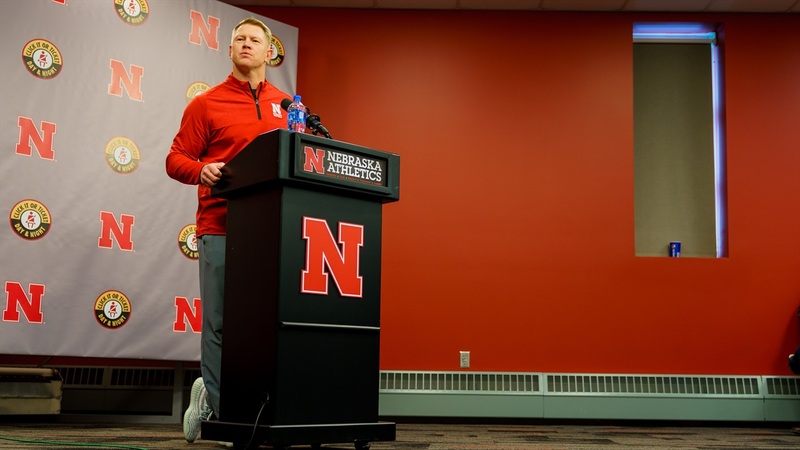 “I can’t tell you how many kids when I met with them on Sunday after their official visits told me this is nothing like they thought it was going to be like,” head coach Scott Frost said at his signing day press conference. "So it’s going to be important for us to get kids to campus. This new Husker staff is ready to go after anyone, but that doesn’t mean they’ll take just anyone. “We wouldn’t bring in guys that we thought were just great football players,” Chinander said. “That’s not how Scott does it and that’s not the guys that I want to coach every day. So I want you to know that you’ll be proud of these kids academically, socially and on the football field as well. The staff has a plan, a set of guidelines by which they’re going to recruit from here on out. The in-state kids are a priority. The out-of-state kids, if they fit, are important as well; Frost said they’ll have to go outside the state often to find speed. In this class alone, Nebraska took eight from the state of Florida. The Huskers grabbed two Alabama kids, they grabbed a Georgia prospect and they swiped two 4-stars out of Texas. “We are going to go everywhere and get the right kids,” Frost said. Another way of putting it: they’re not afraid of anyone on the recruiting trail.